In Today’s world most of the companies use VMware vSphere for the virtualized servers for their environments. Every company or organization who provides the server services or uses the server for their environment require some of the other powerful Backup & Disaster recovery solutions for their environment. The best Backup solution helps the company to recover their data at the time of disaster recovery, Server Crash , Faulty hardware etc. There are many companies who provides the Backup solutions for the VMware vSphere based infrastructure. In this post we will post about the Top Backup solutions we have found which are affordable & feature rich for the small & medium businesses. This list will help you to find the better Backup solution for your organization from various available options depending on your requirement. You will find many costly backup solutions available but we have some of the affordable solutions which also help in saving the cost of your server’s Backup & Disaster recovery and also provides the powerful backup solution for your virtual infrastructure. Nowadays you will get the Backup solution with the added Replication option which is very helpful for replicating the live servers from one place to another. This post is very useful for the people who are searching for the new backup solutions for their organization. There will be no preference that which is the top number 1 solution or the number 2 solution all the solutions depend on your requirements & each one has its own feature sets. Nakivo Backup & Replication works for both the top virtualization technology VMware & Hyper-V. Nakivo Backup & Replication is an easy to deploy solution which can be deployed in many ways such as Virtual Appliance, Install in Windows Server or Linux Server. Nakivo comes with the wide variety of features for Backup & Replication which you can see below. This product is very easy to deploy & configure. Data Protection: VMware Backup, VMware Backup copy, VMware VM replication, Automated VM protection. Data Recovery: Full VM recovery from VM Backup, Disaster recovery with VM replicas, Instant file recovery, Instant object recovery, Flash VM boot. Storage Space Reduction: Global Data Deduplication, Efficient Data Compression. Performance: Network Acceleration, Multi-Threading, Direct SAN Support, Forever Incremental Jobs. Reliability: Screenshot Verification, Repository Self-healing, Full Synthetic Data Storage, Automated Job Retries. Cloud Support: Single-Click Integration with Amazon Cloud, vCloud Director Support, Integration with Various Public and Private Clouds. Usability: Fast and Easy Deployment, Job Grouping, Advanced Reporting. Deployment: Deploy as a VMware Virtual Appliance, Install on Windows, Install on Linux, Install on NAS, Deploy as AWS AMI. Licensing is based on the per socket license. It comes with the various editions such as Pro Essentials, Enterprise Essentials, Pro & Enterprise. You can choose the edition based on your requirements. Get Nakivo Backup & Replication for VMware. Altaro VM Backup works for both VMware & Hyper-V. Altaro VM Backup is an fast & affordable solution for your VMware infrastructure. It is specifically designed for Small & Mid sizes organizations who require an affordable & powerful Backup solution for their IT infra. Altaro VM Backup just require 10-15 minutes of time to setup your complete Backup solution. 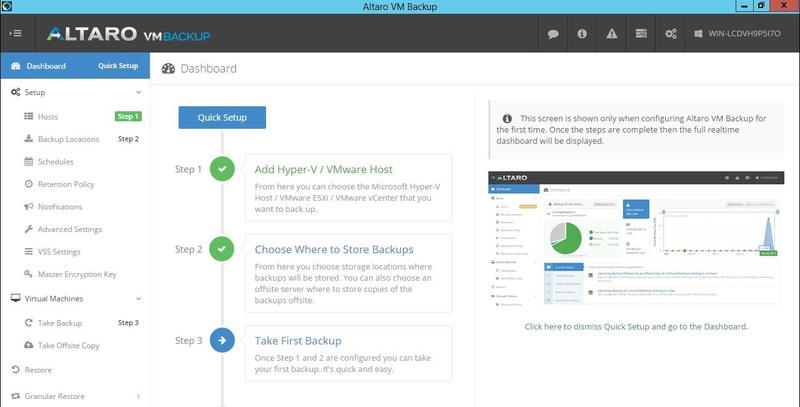 You can check the Altaro VM Backup features below. Restores & Recovery: Instant boot VM from Backup location, Granular restore options for full VM or individual files, Restore from multiple point in time, Restore one or group of VM to different host. Augmented Inline Deduplication: All new Deduplication method for creating smallest Backup size. Improves Backup & Restore speed. Full Control: Intuitive Web Interface to configure & manage backup & restore jobs, Single Management console for VMware & Hyper-V, RESTful API for advanced automation and reporting functionality. Multiple Technology Support: Back up Exchange Server and SQL VMs or other applications compatible with Microsoft’s VSS Writer. Back up file consistent Linux VMs without shutting down the machine. Flexible Backup Destinations: Save Backups to a local drive or UNC share. Save Offsite copies to local drive, UNC share, to single or multiple locations (swapped) or offsite (WAN) Altaro Backup Server. Multiple Supported Backup Media: File Server Network Shares (via UNC), NAS devices (via UNC), USB External Drives and Flash Drives eSata External Drives, Internal Hard Drives (recommended only for evaluation purposes), Offsite Altaro Backup Server via Internet / WAN. Altaro VM Backup licensing is based on the per host basis. So you can take license per ESXi hosts according to your requirement. It comes in 2 editions Standard & Unlimited both the editions have their on features. Vembu BDR Suite contains all of the above products which consist of each of the product licenses based on your requirements. You can also opt for only VMware Backup or Hyper-V Backup. Vembu BDR Suite also comes with free edition. Check below link to get your copy. This post now contains only 3 solutions but later will be adding more if we found better. Backup solutions helps assure that your IT infra servers are smoothly running & Backed up so that if something goes wrong one can easily restore the server. You can differentiate based on your requirement which solution suits your needs. What about veeam backup and replication solution ?? Veeam is also a good solution but if you compare costs this are not much expensive & this are specifically designed for small or medium enterprises. 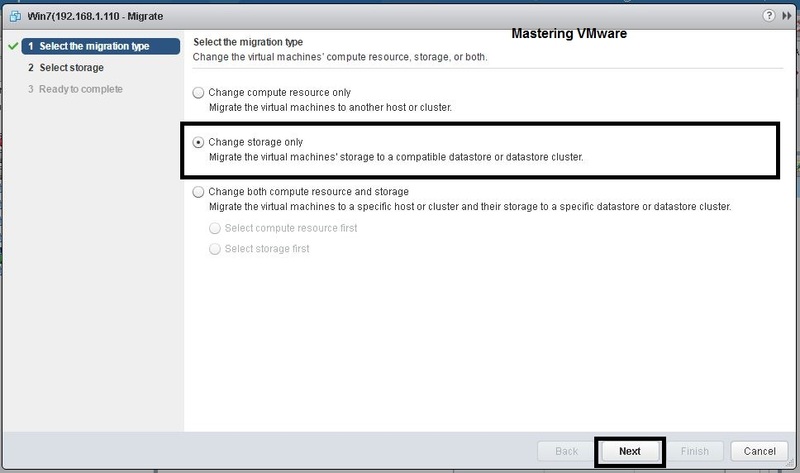 What’s new in Altaro VM Backup 7 ?